Cyberbullying may take place in a virtual environment, but it is just as hurtful and damaging as face-to-face confrontation. In fact, since bullies have the cover of anonymity, cyberbullying can be even more cruel than old-fashioned playground teasing. Because cyberbullying happens in extracurricular social realms like Facebook and MySpace, online students are just as likely to be affected by it as their campus peers. Parents who are aware of the problem can help their children cope effectively with cyberbullying. Kids and teens are spending more and more of their free time online, chatting on social networking sites and trading IMs, emails and text messages. A 2010 Kaiser Family Foundation report found that 8- to 18-year-olds spend 7.5 hours a day on entertainment media, including almost an hour per day on social networking sites. Over half of teenagers use social networking sites like Facebook and MySpace, and 66 percent of 8- to 18-year-olds have mobile devices. In short, computers and smartphones have become virtual hangouts, replacing the malls and cafes of previous generations. Bullying has gravitated online along with social networking. Cyberbullying is the use of digital media to hurt, threaten, embarrass or isolate another child. According to national surveys by online safety expert Parry Aftab, an estimated 85 percent of 12- and 13-year-olds have experienced cyberbullying, and over half report having been bullied online. The Cyberbullying Research Center published a 2010 study claiming that one in five middle school students have suffered "willful and repeated harm inflicted through phones and computers." Children distressed by bullying may become depressed or, in extreme cases, commit suicide. 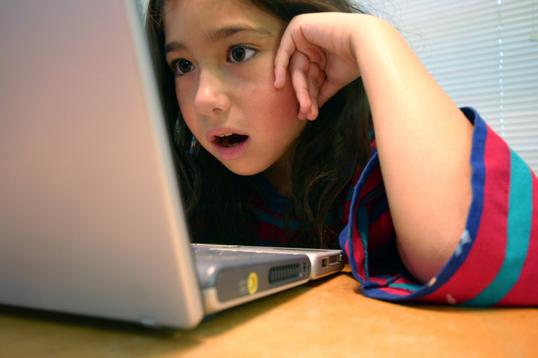 Online students are just as vulnerable to cyberbullying as students at campus schools. On one hand, the close environment of a campus school can foster bullying; a 2004 study of online harassment published in the Journal of Interpersonal Violence found that "Students may be especially vulnerable to stalking and cyberstalking because they live in a relatively closed community where class schedules, phones, and e-mails are easy to find." On the other hand, online students spend even more time interacting in virtual environments. Cyberbulling takes place in extracurricular venues--mainly, social networking sites and Twitter accounts--rather than in the more controlled setting of online school discussion boards. But cyber-savvy online students are more likely to spend time in these risky virtual spaces. As a result, cyberbullying in online schools is a serious problem. Parents can help students stand up to cyberbullies and cope with the emotional fallout of the online abuse. The most important tools in the fight against cyberbullying are awareness and communication. Hesitant to go online, and nervous when checking instant messages, text messages or email. Visibly upset after using the computer or phone. Quickly hides or switches the screen when a parent is present. Sudden change of behavior, becoming sullen or evasive. Withdraws from friends and avoids or falls behind in school. Google your child's name to check for malicious messages. Most importantly, monitor and discuss your child's online activity, both within and beyond the virtual classroom. Set up a phone appointment with the online school's guidance counselor or a particular teacher. Save evidence of the offensive messages. Seek a psychologist's help if you suspect that your child is depressed or suiciidal. Contact law enforcement if the cyberbullying turns physically threatening. With your child's support, close social networking accounts involved in the cyber-attacks. Cyberbullying in online schools can transform an otherwise supportive learning environment into an intimidating social space. Teach your children to stand up to malicious attacks online, and restore civility to the virtual classroom.